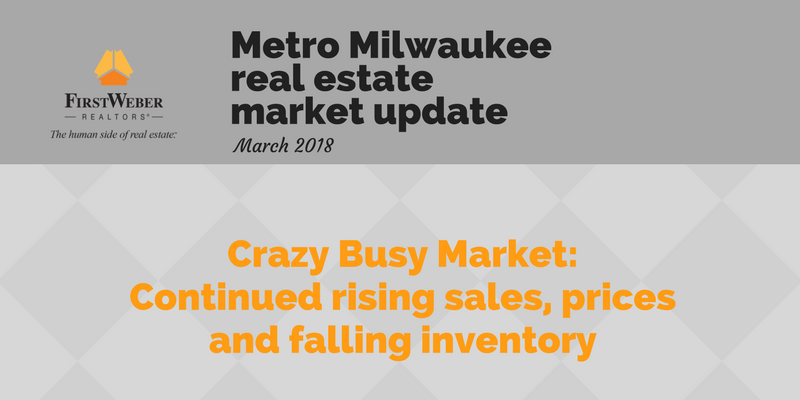 Metro Milwaukee real estate sales continue to rise as inventory falls – The market is very tight and it is hard on home buyers who have got to jump at the few opportunities available. Even with late season snowstorms, buyers are out househunting. Still a seller’s market out there. Days on market are now at 48 days, down 30% compared to last March.